Popsicle sticks have long been used for fun crafts by children and adults alike. Popsicle stick baskets can be used to hold trinkets and small toys or to give as gifts. 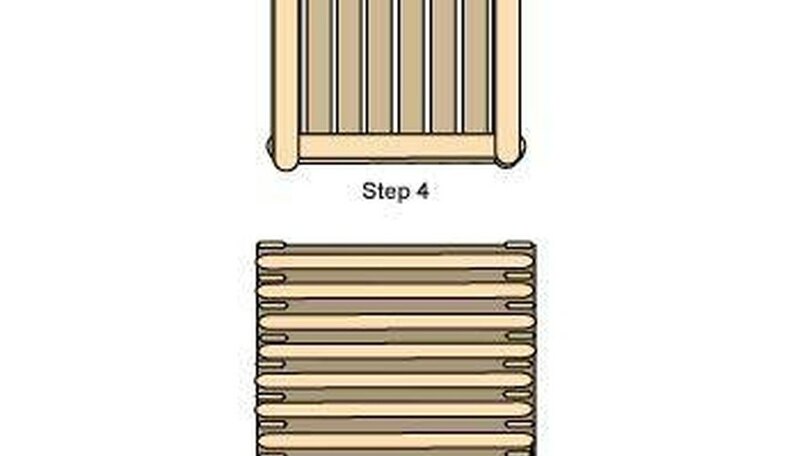 Below, you'll find basic steps for creating a Popsicle stick basket. Start by using four Popsicle sticks to make a square. The two vertical sticks should be on top of the horizontal sticks. Place a dot of glue on each of the ends to glue them together. Next, glue 8 to 10 sticks across the top of the square to create a base for your basket. Place the base in front of you with the two Popsicle sticks sitting on top in a vertical position. 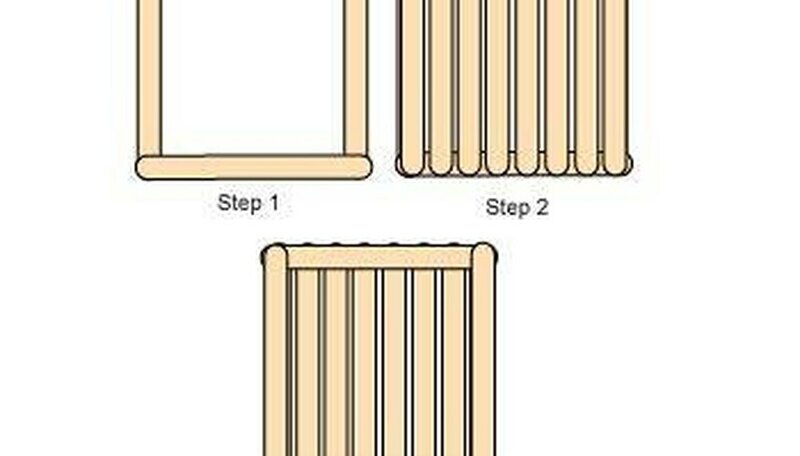 Glue two Popsicle sticks to the ends of the vertical sticks so that the new sticks are horizontal. Continue to switch between gluing two sticks horizontally and vertically until you have built up the side of your basket to the desired height. Allow the basket to dry overnight. You can then paint your basket or decorate it as desired. (See Illustration 2). You can substitute hot glue for the white Elmer's glue. However, the finished product doesn't look as neat. If you do choose to use hot glue, the basket will dry faster. Also, if using hot glue, remember to use extreme caution, and children should have parental supervision.